If you have ever Googled “the craziest laws in the nation” you will see some strange legislation throughout the United States. For example, in Arizona, it is illegal for a donkey to sleep in a bathtub, and in Connecticut, ordinances reference that a pickle must be able to bounce in order for it to be a pickle. Of course, there are backstories to both of these scenarios which don’t really have much relevance today (sorry die-hard pickle fans), but nonetheless are enforceable sections of those respective states’ legislation. The California Shredding Law on the other hand, does not follow this pattern. It has a strong impact and high relevance to every business not only in the “The Golden State”, but across the nation. What Exactly is the California Shredding Law? This means that any business who retains personal information of any sort from an employee, client, or vendor for example must take all necessary action to ensure that the information retained, which is no longer needed, be destroyed permanently in a way that makes it inaccessible or unrecoverable by any one individual. Where Does Shredding Come In? Shredding redundant, obsolete, or trivial documents or hard-drives ensures that your business is abiding by California Civil Code. Not only will your business be obeying the law, but you will have a verifiable chain of custody with the provision of a Document of Destruction should an audit arise. The first thing your business will want to do is make sure it has a Retention and Destruction Schedule so that it can identify just exactly which records need to be kept and which need to be destroyed. As you begin to discover what information matters most to your business, you may notice that you are accumulating a high volume of paper and that’s where a recurring shred schedule can help reduce the risk of exposure, as well as streamline the whole shredding process. 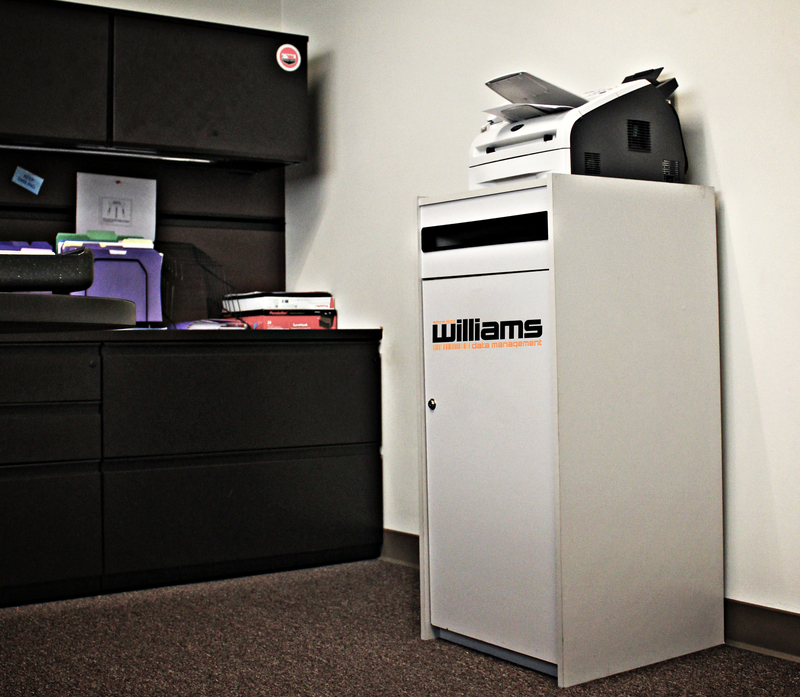 Williams Data Management specializes in certified document and hard drive shredding and can help your business devise a customized plan to reduce risk and protect your company’s information assets. Working with our shredding specialists allows your business to concentrate on the day to day activities that matter most. For more info give us a call @ 888-920-4549 or chat with us @ www.williamsdatamanagement.com.